If you are a pet owner, you know how expensive veterinary costs can be, especially if your furry companion becomes ill or injured. So, is it worth having pet insurance? Read on to learn more about the pros and cons of insuring your pet. 1. If something happens to your pet where expensive veterinary charges will be incurred, you may not have the money available for treatment. Pet insurance may cover emergency care, diagnostic tests, and other expenses that can quickly add up. It would be a horrible situation if your dog needed treatment that you could not afford to provide. 2. There are a number of policies from which to choose, and you may be able to obtain a discount if you are insuring more than one pet. With an insurance policy, you have peace of mind knowing that if anything happens, chances are your pet will be covered, at least to a large percentage. 3. Many pet illnesses are now treatable that once were not, but the proper treatment can run up the bills. With pet insurance, it will be more affordable to provide treatment for your companion that can enhance the animal’s life. Unfortunately, there is always a down side. Listed below are disadvantages to having pet insurance. 1. Not all medical conditions are covered. Your pet may develop an ailment that your insurance policy will not provide for, leaving you to still pay out-of-pocket costs. 2. Pre-existing conditions are often not covered, which can be a problem if you need assistance in paying veterinary bills for a pet with an ongoing medical problem. For these types of issues, you may still be on your own in paying the veterinary bills. 3. Even with coverage, you will have to deal with deductibles and copays, just as with health insurance for people. This means you may not receive as high of a monetary benefit from your policy as you had originally believed. 4. Money that you put into pet insurance could be adding up in a savings account. You may be paying for insurance that you will never use. Of course, if you do need the insurance, the money will be well spent, but you have no way of knowing this ahead of time. If you do decide to invest in pet insurance, you will need to check out the policies that are currently available. There are a number of companies offering insurance policies on cats and dogs. Research what each policy covers, how costly deductibles and copays are, and if discounts are available when insuring multiple pets. An affordable plan can be a blessing if your pet develops a problem that you would not be able to pay for without insurance coverage. 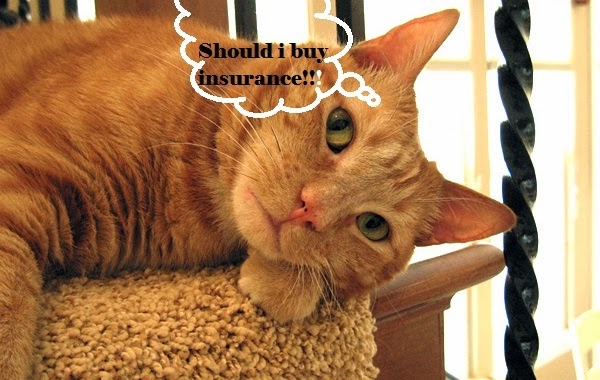 The ultimate decision regarding the purchase of pet insurance is up to you. A great deal depends on whether you have savings and if your pet is a healthy pup or an older dog with possible health concerns.